A mailing list for the Ubuntu For All project has just been set up. The Ubuntu philosophy of “Humanity to others” and “I am what I am because of who we all are” are important to the Ubuntu community. We are a worldwide community that prides itself on friendliness. Unfortunately, some demographics in this wonderful community are struggling. The Ubuntu For All project aims to overcome barriers that, despite best efforts, still do exist in the Ubuntu Community. While each focus team has its own set of challenges, there remains a degree of commonality which by working together, can be tackled alot easier. So, with that in mind, focus teams and projects under the Ubuntu For All umbrella work together and assist each other with ideas and advice for overcoming issues faced. The project aggregates Ubuntu Accessibility, Ubuntu LGBT, Ubuntu Youth and Ubuntu Women. July 7, 2007. english, floss, ubuntu. Leave a comment. 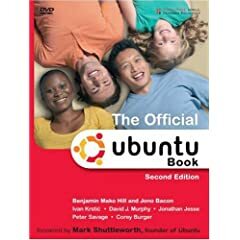 The second edition of the Official Ubuntu Book is out! The DVD includes the complete Ubuntu Linux operating system for installation on PC platforms, preconfigured with an outstanding desktop environment for both home and business computing. It can be used to install other complete variants of Ubuntu including Kubuntu (with the KDE environment), and Edubuntu (for use in schools). July 7, 2007. english, floss, ubuntu. 1 comment. 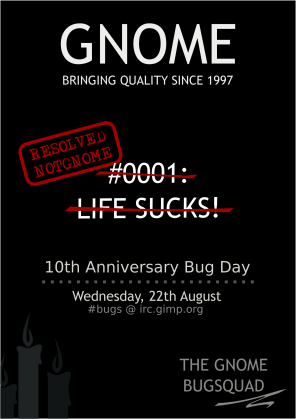 The latest issue of the GNOME Journal is now available! June 25, 2007. english, floss, GNOME. Leave a comment. In other words, that means that users from those areas can not access photos on flickr that are not flagged “safe”. Join the group against censorship at Flickr . June 14, 2007. censorship, english. Leave a comment. to write? If Rusty Russell is as funny in real life as he is online? June 5, 2007. english, floss. Leave a comment. May 27, 2007. english, floss, ubuntu. Leave a comment.